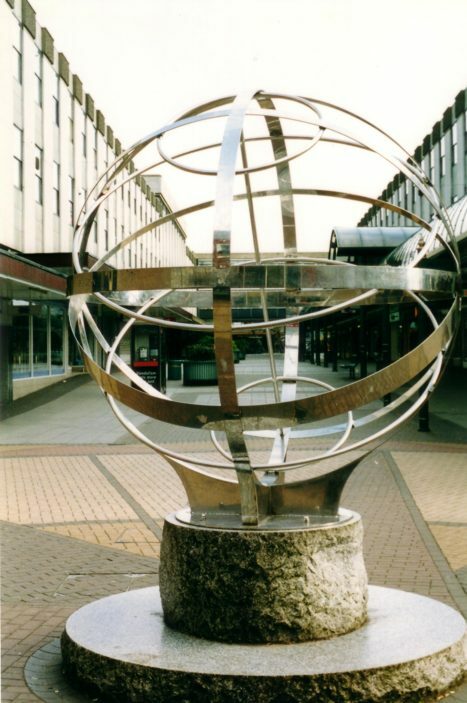 Made of stainless steel, “Sundial” by David Harber was installed on a granite plinth in The Forum in 1999. The directions towards Stevenage’s four twin towns are marked on it, and the location of Stevenage, which is Latitude north 51 54′ 17″, Longitude west 00 12′ 08″. This page was added on 19/01/2011.